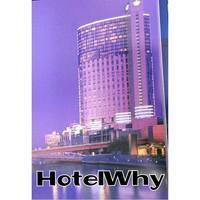 Why not stay with a trusted name like Hilton? 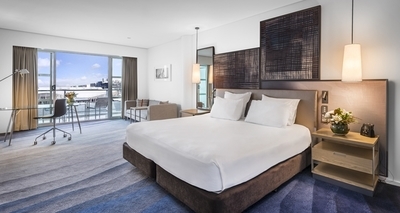 Hilton Auckland offers comfort and relaxation from a range of stylish suites and guest rooms. 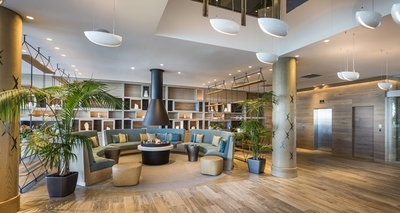 Just a short stroll from the CBD and set in the nautical surrounds of Waitemata Harbour, there’s lots to see and do near this hotel, with cafes, bars and restaurants lining the waterfront. Tourist favourites like the Sky Tower and Auckland Art Gallery are also located just 10 minutes away. Book the King Hilton Bow Suite for 270-degree Harbour views of the Hauraki Gulf and the Auckland Bridge complete with a private balcony with outdoor seating to enjoy it on. Other features include black-out blinds and air conditioning. Choose from a range of rooms to suit your needs, most with seating areas, en-suite facilities and floor to ceiling windows. All guest rooms and suites include WiFi and flat-screen televisions for your entertainment as well as a mini bar great for celebrating with a bottle of wine or unwinding with an ice cold beer. The Hilton also offers a fitness room and an outdoor heated lap pool perfect for a relaxing dip or a re-energising workout. If you’re on a work trip, there are lots of options to help you with your conference or meeting, from audio/visual equipment rental to meeting rooms and a secretarial service.